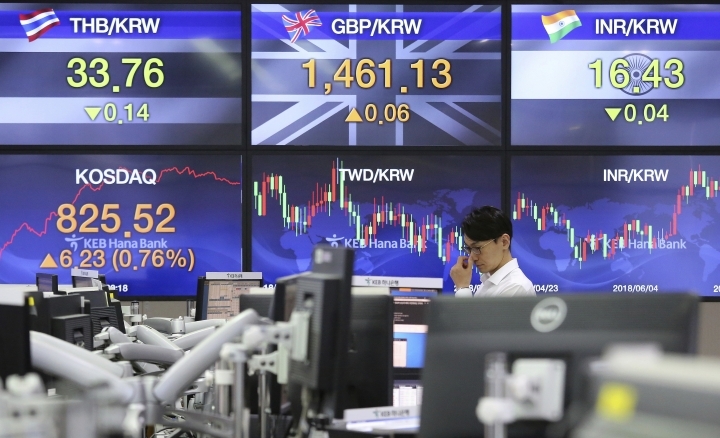 SEOUL, South Korea — Asian shares are mostly higher, rebounding from jitters over the U.S.-China trade disputes for a second straight day. 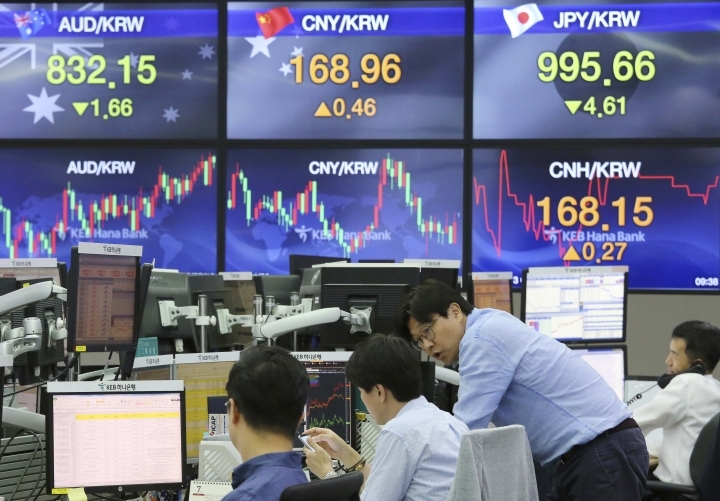 KEEPING SCORE: Japan's Nikkei 225 jumped 1.3 percent to 22,483.13 and South Korea's Kospi gained 0.8 percent to 2,302.32. 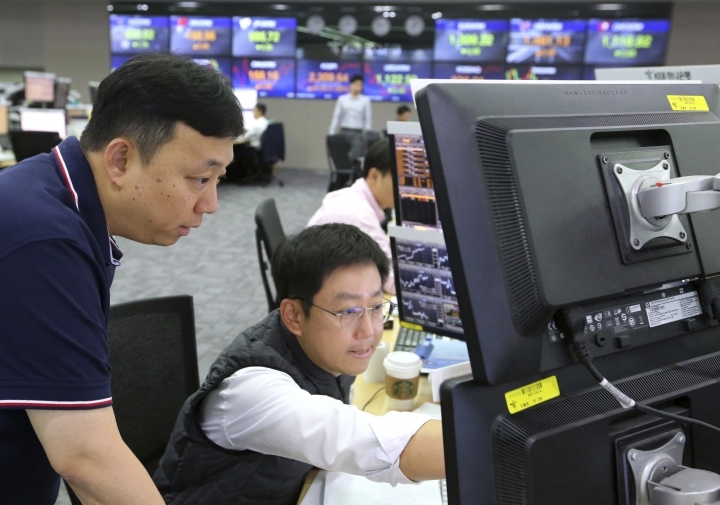 Hong Kong's Hang Seng index added 0.3 percent to 28,578.86. But Shanghai Composite Index in mainland China fell 0.6 percent to 2,821.73. In Australia, S&P-ASX 200 dipped 0.2 percent to 6,255.10. Stocks in Singapore, Taiwan and other Southeast Asian markets were higher. ANALYST'S TAKE: Despite recent escalations in trade battles, "the sky hasn't fallen just yet as optimism crept back into the market," said Stephen Innes, OANDA's head of trading in Asia Pacific region. "The broader market continues to remain in wait and see mode for further details on how China might retaliate on trade." TRADE: China has yet to give details on what kind of "firm and forceful measures" it would use to respond to the fresh round of potential tariff hikes on $200 billion of goods announced by the U.S. on Tuesday. But Beijing stepped up pressure on Washington by suggesting that U.S. companies lobby American leaders. The U.S. and China are yet to resume negotiations over the dispute that led to tariff hikes on each other's goods. WALL STREET: U.S stocks finished higher on Thursday led by tech companies. The S&P 500 index rose 0.9 percent to 2,798.29. The Dow Jones Industrial Average gained 0.9 percent to 24,924.89. The Nasdaq jumped 1.4 percent to 7,823.92, closing at an all-time high. The Russell 2000 index of smaller-company stocks added 0.4 percent to 1,690.28. OIL: Benchmark U.S. crude lost 2 cents to $70.31 per barrel in electronic trading on the New York Mercantile Exchange. The contract dipped 0.1 percent to settle at $70.33 a barrel on Thursday. Brent crude, used to price international oils, fell 35 cents to $74.10 per barrel in London. It finished 1.4 percent higher at $74.45 per barrel on Thursday. CURRENCIES: The dollar rose to 112.65 yen from 112.52 yen. The euro fell slightly to $1.1666 from $1.1672.